Some plants are grown for the beauty of the individual flower others for their impact as a shrub/bush. 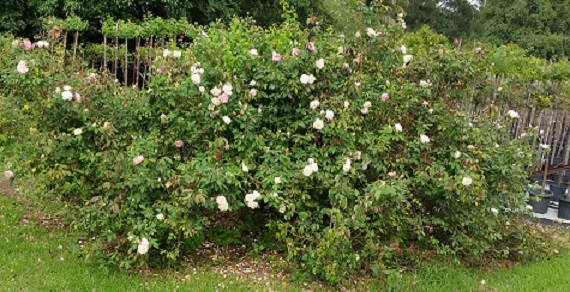 Shrub roses give lots of flowers over a bushy growing habit, and are usually fairly large. They are ideal for massed colour as individuals or as grouped plantings or hedges - or anywhere (sunny) you want to "shrub it up".